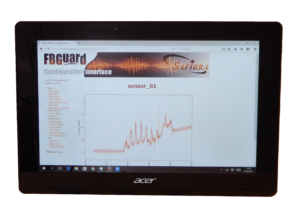 The FBGuard 1550 FAST is the first industrial grade FBG interrogation unit for high accuracy static and dynamic measurements of Fiber Bragg Grating (FBG) sensors that can be used for a broad field of applications. The device covers a wide range of wavelength range and provides simultaneous measurements at very fast response rates and excellent wavelength resolution. The system can measure up to 8 optical channels with 40 FBG sensors per channel. Furthermore, IDIL can provide specific sensor types (strain, temperature, displacement, vibration, acceleration, inclination, pressure, load) covering all applications. This offer a compact, field-proven and cost-effective solution for industrial measurements. The system is supplied with an analysis and configuration software. The interrogator contains a broadband light source and performs spectral analysis by means of a linear array detector and a spectrometer platform. The input channel which should be monitored can be selected through an optical switch which is integrated in the unit. 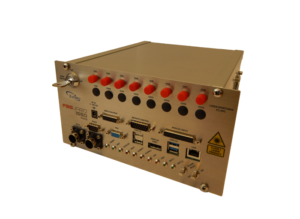 The interrogator has an Ethernet interface, which allow remote control from any standard PC through the TCP/IP protocol. 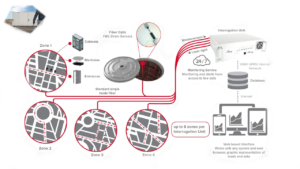 the configuration of alarms, frequency of measurements, data logging on an integrated SSD or others is possible by SSH.